This gluten-free, grain-free and nut-free replacement for wheat flour is made from cassava root. Great substitute for countless recipes like cakes, cookies, brownies, pancakes, crepes etc. 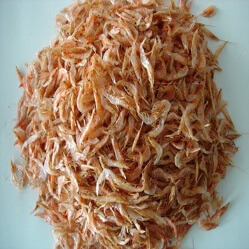 It shines in savory applications like tempura, sauces, gravy, and as a searing flour plus. Its totally autoimmune protocol friendly. Thanks to its unique chemistry, it’s perfect for many egg free PALEO/AIP/VEGAN recipes. Our flour uses a professional process that ensures the purity, texture, and safety of the product. So when we say JF flour will become a staple in your paleo pantry, we aren’t messing around. Does JEB FOODS CSF contain Fiber? Is JEB FOODS CSF Certified Gluten Free, Grain Free? Is JEB FOODS CSF from a genetically modified (GMO) plant? Is JEB FOODS CSF Paleo Certified? 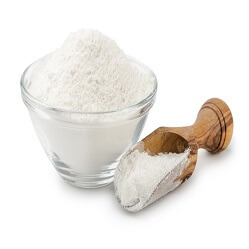 Yes, our Cassava flour is Certified Paleo. Does JEB FOODS CSF contain Carbohydrate? Yes, Our Cassava contains 38 grams of carbohydrates per 100-gram serving. This makes it a good source of energy which can be beneficial to people who have very active lifestyles or engage in strenuous physical activities. High energy activities use up glycogen, a form of glucose stored in the muscles. 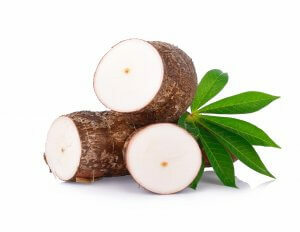 Adding cassava to your diet supplies carbohydrates which help replenish lost energy. What Minerals does JEB FOODS Cassava flour have? 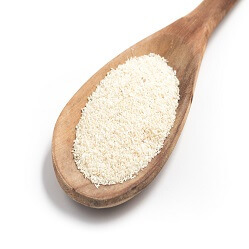 Cassava flour is rich in minerals such as calcium, phosphorus, manganese, iron, and potassium. A 100-gram serving of JEB FOODS CSF contains 16 milligrams of calcium, 21 milligrams of magnesium, 271 milligrams of potassium, 27 milligrams of phosphorus and 0.4 milligrams of manganese. 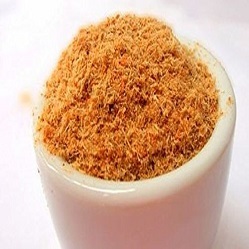 It also has 14 milligrams of sodium, 0.3 milligrams of zinc and 0.3 milligrams of iron. Does JEB FOODS Cassava Flour Smell? Is JEB FOODS Cassava Flour “Gritty”? No, With our CSF we were able to achieve a high percentage of granulation. Through our proprietary processing. Is there a difference between CSF and tapioca starch? Yes, CSF is the whole root, simply peeled, dried and ground to flour with all the nutrients and minerals in it. Tapioca is just pure starch extracted from the cassava root. Great customer, great quality and great price!